This proposal aims to maximize the public accessible space of the Robert Fulton Houses, owned and operated by the New York City Housing Authority (NYCHA), while retaining every single existing residential unit by creating a multi-use development including a new public park. A recent analysis has identified underutilized land in the footprint of the Robert Fulton Houses that can be developed into usable space for various commercial, educational and community uses. 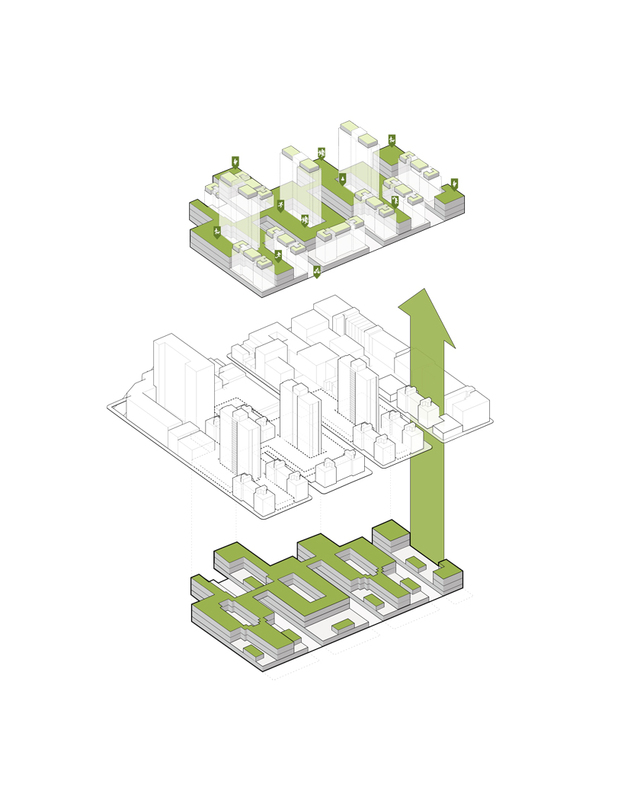 All existing park space and infrastructure is retained, enhanced or re-located within the proposed in-fill. The Friends of Fulton initiative is committed to a financially sustainable and high-quality design that will create a revenue- generating usage model for the Robert Fulton Houses. Friends of Fulton is dedicated to improving the quality of life of the residents and neighborhood by integrating the Robert Fulton Housing complex into the social and economic urban fabric of the Chelsea community.